Hi ya. I group my goals into quarters, so today I’m reporting back on Q1. 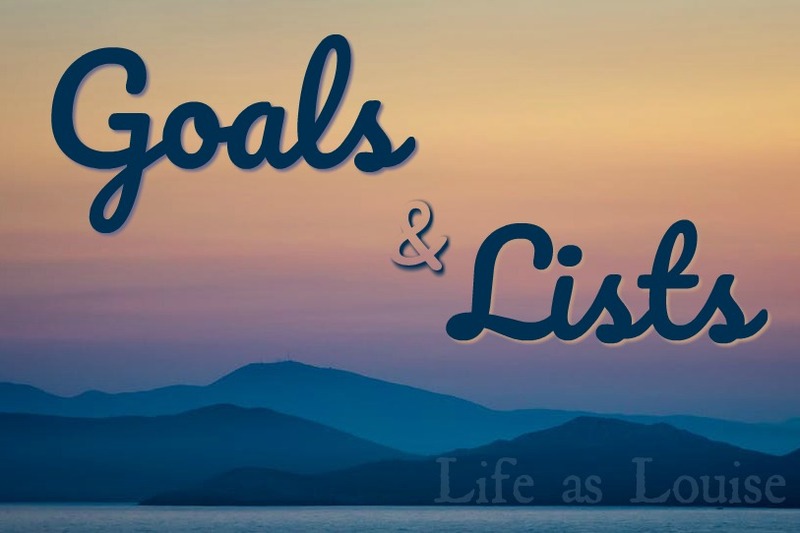 I only have a handful of goals each quarter, so I’m revisiting my yearlong resolutions, too. Finish Xmas shopping & enjoy the parties and off time we have coming! I only listed five goals because I wanted a shot at achieving ALL of them. I finished my scrapbook (yay!) and obviously I finished Christmas shopping. I got all my books read, too. I didn’t get to the yoga studio every week. I have no good excuses there. Also, we traveled A LOT so I didn’t meal plan every week, but I did do it quite often. My yoga package expires in May, I think, so I have to squeeze in all my remaining classes before then. Keep a gratitude journal Not doing great with this one. Budget Carolann suggested “You Need A Budget.” I tried it for a free month. I’ve been taking notes from Stephanie, the budget guru, too.Still working on this one. Work on sticking to a consistent schedule Fail on all accounts. Travel tends to mess me up and we’ve been to multiple states this year already. Just as a side note, I’ve been working on my Overhaul Goals as well. What are your spring goals? I always feel like calendar-ly speaking, spring flies by. But seriously, you’re doing really well. Right?? 25% of this year is gone! That’s nuts!!! Good job on winter goals!! I hope to.finish the Erin Challenge too. Good luck with your spring goals! It’s going to be close with Erin’s challenge for me… We’ll see if I make it. Lol! Ugh we are trying to come up with a budget right now too. I want to get better about setting aside a certain amount into savings each month and figuring out where all our extra money goes. Retail therapy, probably lol. I feel like I think about my budget when the money is low and there’s nothing there to budget. Hahaha! It’s definitely not one of my stronger skills. YIKES. That hurts. I just sent up an appointment next week to get our IRAs squared away so hopefully that motivates me to keep this savings train moving forward. Thank you! I enjoy yoga a lot. It’s one of those exercises that I understand and like and look forward to! The traveling definitely throws me off a bit but I know if I could lock down a habit it wouldn’t be an excuse any more. I just need to work a little harder and smarter! Good luck to you!! I don’t know that I’d be able to keep up with certain goals/tasks if I was traveling a lot. LOL All in all, I’d say you’re off to a good start on your year though! Great job. Thanks! We have a few more weeks of being on the road and then we’ll be home for a long time so hopefully I can crack down a bit! Oooh, I geek out over finance and budget goals. Our finances were improving a lot before we had Holden and I went out on leave. Now we are recovering from that, but making some progress! I really need to be much better about finances. This year feels like the year to get it all in order, though. I think we’ll be able to crack down and funnel our money into the right avenues! Good luck to you on budgeting! I started off the year strong with a gratitude journal and then it fell by the wayside. I’d really like to make it a daily thing! !